Smoke Machine Hire | JOLLY JACKS JUMPING CASTLES! 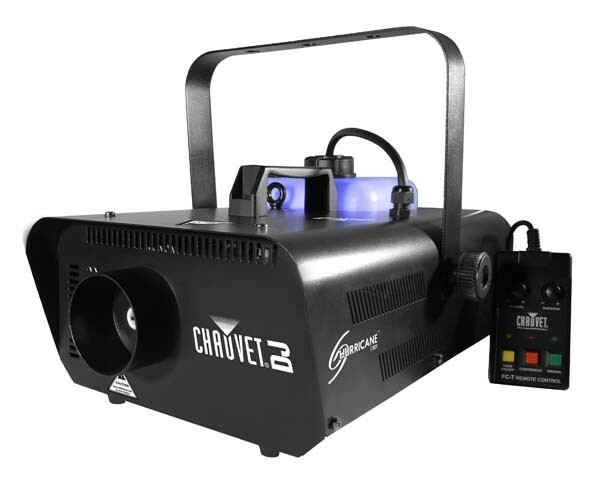 The Chauvet Hurricane 1301 is a powerful smoke machine that can cater for almost any sized venue. Capable of outputting 20,00 cubic feet per minute (566m3 per minute) that’s almost 10 cubic meters per second! This awesome smoke machine is now stocked by Jolly Jacks Jumping Castles and is NOW available for hire. Hurricane™ 1301 is a water-based fogger capable of a great output of 20,000 cfm. It has a 3.3-liter (0.9 gallon) tank and takes only five minutes to heat up. It features a low-fluid indicator and automatic shutdown. A wired timer remote (FCT) is also included. Everything supplied to ensure hours of smoke fun. PLEASE NOTE: Smoke Machine is for pick up only (WALLAN location) or FREE delivery when hiring a jumping castle.